The F2 range of large minnows are built with a movable weight system that stabilises lures in flight to make the lure fly further on every cast. 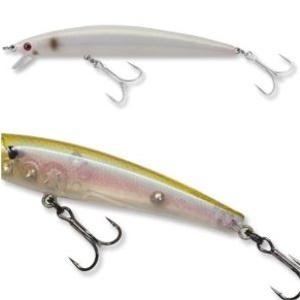 Able to dive deeper and cast further than the standard F series minnow counterparts, it can be used in wide range of conditions to scout out big fish. Able to be used with hard jerk action, it is a worthy addition to any technical angler's tackle box. 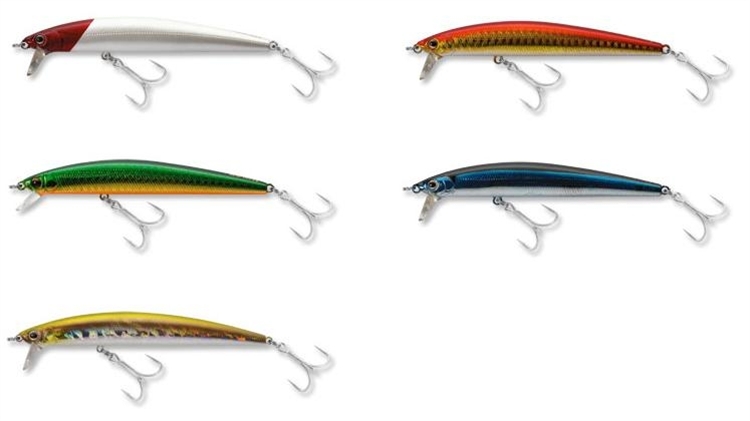 The MW 125F2 and MW 105F2 lures feature a special movable weight system, that makes the lures fly straight and smoothly through the air when cast. This lets you cast further than standard lures to cover more area when searching for lone fish on flats and wide open areas, giving you more chance of that big hook-up.